Born at London, England on 6 June 1932, he was educated in Scotland (1945-1950) and following military service with the Black Watch, emigrated to Canada in 1953. In 1955 he married Nancy Smith and with the exception of a one year period following their wedding, they made Winnipeg their home. He worked for the grain exporting firm of K. B. Stoddart, the Hudson’s Bay Company, and the investment firm of Oldfield Kirby & Gardner. He was Branch Manager of Francis I. duPont and Company, and Assistant Manager of the Winnipeg Branch of Richardson Securities of Canada. In October 1955, he married Nancy Smith of Winnipeg. They had three children: Patricia Howison, James Howison, and Bruce Howison. 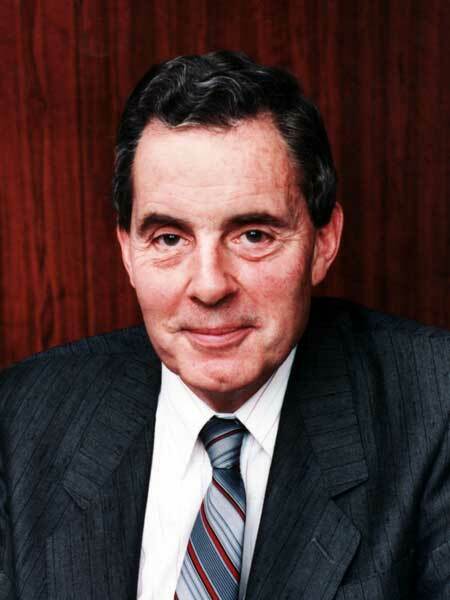 He served as Executive Director of the Winnipeg Foundation from 1976 to 1989. He also served on the Boards of Westwood Community Church, Young Life of Canada (1972-1979), Young Life International (1973-1977), Providence College (1977-1985, 1992-2000), and the Winnipeg Foundation. He was a Sinking Fund Trustee of the City of Winnipeg (1977-2002) and the Winnipeg School Division (1976-1985), and a member of the Advisory Board of Marymound (1993-2005). He served in various executive capacities at the St. Charles Country Club. He died at Winnipeg on 9 February 2005. Obituary, Winnipeg Free Press, 11 February 2005. Biographical profile, Scrapbook, Winnipeg Foundation.